• Professor Rajni Hatti Kaul, Head of department, phone: +46 (0)46 2224840. Personal web page. CV. The research activities at the Department of Biotechnology cover various topics within the areas of environmental-, analytical-, food- and process biotechnology. Biological treatment of contaminated soil and biogas production are two areas with a growing importance that have been focused on during the last ten years. Development of biosensors and methods for process control of biotechnological processes is another important area. The field of research activities also includes isolation, cultivation and purification of biomolecules from microorganisms, with special emphasis on enzymes from microorganisms living in extreme environments e g thermophiles, alkaliphiles and psychrophiles. Such enzymes have special characteristics which make them useful under a broad range of process conditions. The use of enzymes or whole cells as catalysts for production of a variety of substances is studied involving biocatalysis in both organic and aqueous media. New and rational methods for protein purification are being developed mainly focusing on affinity precipitation, using reversibly soluble-insoluble polymers as ligand carriers, aqueous two-phase extraction and expanded bed adsorption. In 2003, the department received a major grant from MISTRA (Stiftelsen för Miljöstrategisk Forskning) for research on sustainable technology. SEK 34 Million was awarded for a 3.5 years research program called ”GREENCHEM”. Greenchem is a research program aimed at using modern biotechnology for production of biodegradable chemicals from renewable resources, and will use biotechnology to produce biosurfactants for use in pharmaceutical preparations, personal care products, concrete and other products; wax esters for surface coatings; and epoxides for surface coatings and starting material for different products. In 2007, the project went into its second phase, and another SEK 37.5 million was granted by MISTRA. The project was completed in 2010, and a final conference held in November 2010. More information on the Greenchem project. Specific interests include biotechnology for a sustainable development and biotechnology for developing countries, which is clear from the many previous and ongoing collaborations the department has with such countries. A few years ago it was estimated that the department collaborated with universities, institutes and companies in more than 35 countries worldwide. Professors Bo Mattiasson and Rajni Hatti Kaul have both worked on several projects connected to South Asia. The collaboration partners in India are: The Indian Institutes of Technology (IIT) in Delhi and Kanpur; Agharkar Research Institute in Pune; Bhabha Atomic Research Centre in Mumbai; University of Mumbai; University of Calcutta in Kolkata; and the Central Food Technology Research Institute in Mysore. In Sri Lanka collaboration has been initiated with the University of Jaffna. Professor Rajni Hatti-Kaul has a background from India. She obtained her PhD degree in Biochemistry from the University of Bombay in 1984. After a post-doctoral period at Lund University (1985-87) she served as research assistant at Astra Research Centre India in Bangalore 1988-90, wherafter she returned to Lund University, and became a Associate professor in 1997, and Professor of Biotechnology in 2004. Her research interests are in the fields of integrated bioprocessing for recovery of biomolecules from biotechnological processes, downstream processing of proteins, immobilised biocatalyst technology for bioconversations and bioanalysis, and application of enzymes from extremophilic organisms for utilization of renewable raw materials and food processing. In October 2004, Prof. Hatti-Kaul was given SEK 600 000 as a Swedish Research Links three-years grant (2005-07) for a India related research project on ”Biotechnological production of biodegradable plastics”. More information. Project abstract: The modern society has become increasingly dependent on plastics that are today integrated into innumerable commodity products ranging from packaging to furniture. The major problem associated with the use of commodity plastics is that much of it lands up as discarded waste on landfills once they are no longer in use. These materials persist in the environment without getting degraded thus giving rise to a variety of ecological and environmental problems. It has for a long time been recognised that reducing plastic refuse could go a long way in preventing a landfill crisis, however, the remarkable usefulness of polymers probably precludes any serious slowdown in their applications. This problem although prevalent worldwide, is increasing at a tremendous pace in developing countries due to indiscriminate use of plastics as a result of their reduced costs and easy availability. An important step towards providing a sustainable solution to such an environmental problem would be to reduce pollution at the source so that emphasis is no longer on an already damaged environment. The collaborative project between Sweden and India funded by Swedish Research Link sconcerns development of biotechnological production of biodegradable plastics of the type polyhydroxyalkanoate (PHA) from renewable raw materials by halophilic bacteria or by their catalytic machinery in a recombinant host. This will be done with a focus on developing “clean” processes and products that have far reaching implications with regards the effective utilization of surplus agricultural and waste resources along with the reduction in the environmental burden. PHAs possess material properties similar to various synthetic thermoplastics and elastomers currently in use (from propylene to synthetic rubber), and upon disposal, they are completely degraded to water and carbon dioxide (and methane under anaerobic conditions) by microorganisms in various environments such as soil, sea and lake water and sewage. In November 2007, she was given SEK 1.0 million as a three-years grant (2008-10) from Sida’s Developing Country Research Council (U-landsforskningsrådet), for a development of the project above, now titled ”Biotechnological production of biodegradable plastics from surplus biomass: combating waste accumulation in developing countries”. The collaboration partner on the Indian side has been Dr. Sandra D’Souza, Bhabha Atomic Research Centre, Mumbai. More information about the Sida grants 2007. Prof. Hatti-Kaul was a member of the working group that established SASNET in the year 2000, and was the Vice Chairperson in SASNET’s board during the period 2001–2006. Lund University’s magazine LUM published an article about Prof. Hatti-Kaul in its February 2009 issue. Read the article ”Grön bioteknik lockar finansiärer” written by the journalist Mats Nygren. An International conference on ”Biotechnology for Sustainable Development”, was held 7–9 January 2008 in Pune, India. The conference, named BSD – 2008, was organised by the Chemical Engineering and Process Development Division at the National Chemical Laboratory (NCL) in Pune, in collaboration with the Dept. 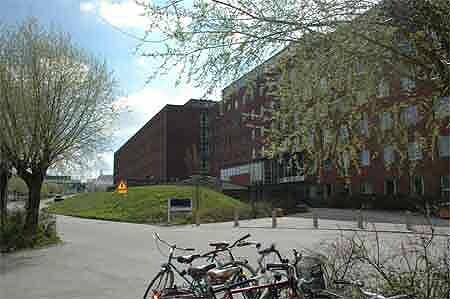 of Biotechnology, Lund University, Sweden. It was supported by the Swedish Foundation for Strategic Environmental Research (Mistra) and the Indian Council of Scientific and Industrial Research (CSIR). Dr. Sanjay Nene (photo to the right) from NCL convened the conference, that highlighted the latest developments areas such as • Biotechnology for production of green chemicals; • Biorefinery – Use of plantation crops for production of Chemicals; • Bioremediation of solid, gaseous and liquid wastes; and • Waste water treatment and recycle using clean technologies. More information in a report given in Mistra Newsletter 2/08 (in Swedish). In the Fall 2010, Prof. Hatti Kaul was awarded an Erasmus Mundus Action 2 Indo-European mobility programme Lot 13 scholarship (coordinated by Lund University) as an academic staff, to spend one month at Pune University in India. More information on the programme. On Thursday 19 May 2011, Professor Rajni Hatti Kaul held a SASNET Brown Bag Lunch Seminar, on ”Biotechnology and Sustainable Development”. More information. In October 2010, Prof. Hatti Kaul was awarded SEK 2 700 000 as a three-years research grant (2011–13) from the Swedish International Development Cooperation Agency, Sida, for a a new project entitled ”Sustainable production of bioenergy from agriculture residues – avoiding competition with food availability in developing countries”. The project will be carried out in collaboration with researchers in Vietnam and Sri Lanka. The collaborating partner in Sri Lanka is Prof. Vasanthy Arasaratnam (photo) , Dean of Faculty of Medicine, Dept of Biochemistry, University of Jaffna. More information about the 2010 Sida grants. Project abstract: The project concerns the production of second-generation biofuels from lignocellulosic agricultural residues, rice straw and sugarcane bagasse, produced in enormous amounts in developing countries. In order to make the optimal and economical use of the available biomass, co-production of other value-added products with biofuels will be done. Different methods for pretreatment of the lignocellulosic residues will be evaluated for separation of cellulose, hemicellulose and lignin. Cellulose degrading enzymes will be developed for hydrolysis of cellulose to glucose, which will then be fermented to ethanol. For increasing the energy yield, the fermentation residue will be subjected to anaerobic digestion for production of biogas. Hemicellulose will be converted by enzymatic hydrolysis to xylooligosaccharides for application as prebiotics, and also modified for use as biodegradable plastic. 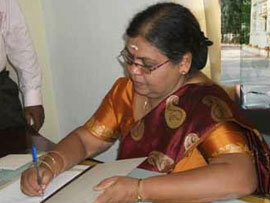 On 31 March 2011, Prof. Vasanthy Arasaratnam was appointed the new Vice Chancellor of the University of Jaffna with effect from 28th March. She gets the rare distinction of being the first woman Vice Chancellor of the university. More information. Professor Bo Mattiasson has been working at the Dept. of Biotechnology since it was founded in 1985, and he was the Head of the department till 2006 (when he was succeded by Prof. Rajni Hatti-Kaul). Over the years, Bo Mattiasson has been involved in several collaboration projects involving Indian researchers and Indian institutions. In August 2001 he received SEK 125 000 as a SASNET planning grant for initiating a programme on ”Environmental Remediation and Sustainable Development”. The project was carried out within the framework of the Bioremediation research group, Biorem, a sub-group in the department that gathers researchers involved in bioremediation studies. Biorem aimed to develop cost efficient biological methods to eliminate persistent organic pollutants (POPs) from the environment. Bo Mattiasson and his dye remediation research group (more information) in Lund were the first Swedish researcher to receive funding from the ”Facility for Environmental Initiatives and Innovations” – an Indo-Swedish programme set up by Sida, the Swedish International Development Cooperation Agency, in December 2006, with an aim is to encourage knowledge sharing and co-operation on development of new technical solutions between India and Sweden, and to evolve best practices in the environmental field. (more information about the ”Facility”). Besides Prof. Mattiasson, the researchers involved in this project were Dr. Naresh Kumar (Indian post-doc guest researcher at the department) and PhD candidate Maria Jonstrup. In October 2007, Prof. Bo Mattiasson received a minor grant from the Swedish Research Links programme (funded by Sida and the Swedish Research Council) for a India related project titled ”Anaerobic, thermophilic microorganisms – new biocatalysts for sustainable use of natural resources”. More information on the Swedish Research Links grants 2007. Then in November 2008, Prof. Mattiasson received SEK 600 000 as a three-years research grant for the period 2009–11 from the Swedish Research Links programme for the same India related project. The project is now titled ”Exploration of pristine and extreme habitats for themophilic anaerobes and their enzymes for industrial applications”. The collaboration partner on the Indian side has been Dr. Prashant Dhakephalkar, Agharkar Research Insitute in Pune. More information on the Swedish Research Links grants 2008. On 29 September 2011, Maria Jonstrup (photo) defended her doctoral dissertation entitled ”Treatment of textile wastewaters using combinations of biological and physico-chemical methods”. Her research was carried out within the dye remediation research group, under supervision from Prof. Bo Mattiasson. The faculty opponent was Professor Bert Allard, School of Science and Technology, Örebro University. In India research has been carried out in Tirupur (photo to the right) and in Kanpur. The project was carried out in collaboration with Indiska Magasinet AB, Sweden, and the target was to deliver a viable treatment method to the textile industry for cleaner production. This project focused on degradation of textile dyes using white-rot fungi and combining anaerobic-aerobic bacterial processes. Part of the effort also lay on photocatalysis, though being a physico-chemical process it has many advantages. First a laboratory scale treatment process for synthetic wastewater should be developed. Once this is achieved the next step is to build a pilot plant at a textile factory in India. The final goal is to be able to reuse the treated wastewater within the factory. Abstract: Considerable amounts of water and chemicals are used in the textile industry, and the presence of dyes in the wastewater is a problem of environmental concern. Synthetic dyes are designed to resist light, water and chemicals to improve the quality of the textiles; however, these properties also contribute to their persistence in the environment. The existence of wastewater treatment plants in connection to the textile industries varies from region to region, and while some treatment plants are quite efficient, others are not even in use. The pollution of dye-containing wastewater has clear visible effects and some dyes are also suspected to be biologically modified into carcinogenic and toxic compounds. More information with full abstract. Maria Jonstrup now works for the company Sweco in Malmö, offering qualified services in the fields of consulting engineering, environmental technology and architecture. PhD candidate Marisa Punzi carries on with the same research project. Marisa came as an exchange student from University of Pavia, Italy, in 2010 to do her Masters, and now continues as a doctoral student. She works on combinations of anaerobic or aerobic degradation and photo-Fenton oxidation for treatment of textile wastewaters. The wastewater from textile industries and in particular from dyeing processes, is rich in salt and dye molecules. This make it harmful for the people working and living around the factories and for the environment as well. The best wastewater treatment is considered to be a biological treatment, which means that the addition of chemicals and the energy consumption are minimized. However, it doesn’t always work. At the moment the research team believes that a better and more effective option is to combine biological and physical-chemical treatment together. The idea is that the biological treatment should take care of the biodegradable part of the wastewater, which is the dominant part, whereas the physical or chemical treatment should remove the recalcitrant molecules, i.e. the dyes. One process that has been investigated consists of a first biological step, anaerobic decolourization, followed by oxidation of the remaining compounds by photo-Fenton reaction. At the same time, the team is considering some alternatives to improve this combined process. In fact, the photo-Fenton reaction could be substitute by ozonation, which is more environmentally friendly, or by adsorption and both options are under investigation. Similarly, they are studying the possibility of using algae and/or cyanobacteria, which have low nutritional requirement and can be kept in contact with the atmosphere, instead of the anaerobic sludge currently used for the decolourization. On Friday 25 May 2012, the Faculty of Engineering (LTH) at Lund University in an official ceremony confered Ms. Renée Andersson, Director of Ethics and Environment at the Swedish fashion and decorating firm Indiska, an honorary doctorate at Lund University. In the motivation, it is stated that she has drawn attention to the importance of combining ethics, environmental concerns and economics within the garment industry. ”Through her commitment and knowledge she has enabled research and technological development in the field of water purification in South Asia”, says Professor Bo Mattiasson, with whom Ms. Andersson has been involved in the Tirupur research project mentioned above. In 2008, Renée Andersson participated in a successful SASNET/SIBC business seminar focusing on Business and Corporate Social Responsibility (CSR) in India. At that time, she said that her company has worked to develop their CSR code for a long time, even incorporated Indian laws in its CSR code, with an effect that their suppliers must follow Indian law with regard to health insurances, pension plans, and employment contracts. The outcomes of this process has generated a new interest in Indiska magasinet’s products among more quality conscious customers. More information about the 2008 seminar. In November 2009, Professor Bo Mattiasson was awarded SEK 600 000 as a three-years research grant (2010–12) from the Swedish International Development Cooperation Agency, Sida, for a a new project entitled ”Biotechnology research as an important tool towards sustainable development”. More information about the 2009 Sida grants. In October 2010, he was again awarded with a grant from the Swedish International Development Cooperation Agency, Sida, this time for a project entitled ”Treatment of Virus-Polluted Water”. The project will be carried out during the period 2011–13, and the grant is SEK 2 700 000. More information about the 2010 Sida grants. Prof. Mattiasson is also involved in a research collaboration project on Biogas with Associate Professor Virendra Kumar Vijay (photo) from the Centre for Rural Development and Technology, Indian Institute of Technology Delhi (IITD). Dr. Vijay coordinates the Biogas Development & Training Centre at IITD. He visited Lund University and the Dept. of Biotechnology in August 2010, as a member of an Indian delegation invited to Sweden by the Swedish Embassy in Delhi, and Avfall Sverige. More information about the delegation’s visit to Lund. Two of the approved Indo-Swedish collaboration projects were applied for by the Dept. of Biotechnology, one by Professor Rajni Hatti Kaul, and a second one by Professor Bo Mattiasson. Indian collaboration partners: Sanjay Nene, Head, Biochemical Engineering Unit, National Chemical Laboratory (NCL) in Pune. Also the Hyderabad based private company TMT India Ltd.
Project abstract: A key to environmental sustainability is to prevent the accumulation of toxic recalcitrant wastes and lower the dependence on the finite fossil resources. Indiscriminate disposal of plastics into the surroundings is a serious ecological and environmental problem in India and many other countries. The aim of this project is to involve partners in Sweden and India to utilize the results generated from research on biotechnological production of biodegradable plastics from surplus agricultural residues. An overall systems approach will be adopted to evaluate the technical potential, cost-effectiveness and local acceptance of the technology with integrated production of bioenergy, fertilizer and animal feed that would be beneficial for the environment and also improve the livelihood of the farmers. A workshop will be organised in India to communicate the benefits of bio-based economy. On the Swedish side, a recently formed private company – Indienz – will be a partner in the production of biodegradable plastics. Project abstract: Textile dyes are selected since they are stable. 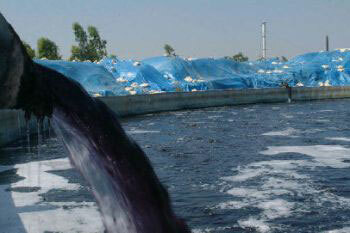 It is difficult to degrade them, and that causes problems when treating wastewater from textile industries. Many dyes are toxic, some may even produce metabolites that are carcinogenic. Today dyes are precipitated and the sludge formed constitutes an environmental problem. We have good experience in lab-scale biotechnological methods to degrade textile dyes. To decolourize the wastewater is easy, the real challenge is to degrade the toxic degradation products. The aim is to reach to a complete mineralization of the compounds to carbon dioxide, ammonia and water. Microbiological treatment is efficient for the initial steps, but it is sometimes necessary to combine with photo-chemical treatment. This project is focused on developing an efficient technology and to build a mobile pilot plant unit to be placed in Tirupur, India. Dr Maria Andersson holds a position as Technology coordinator at the department, and is the Deputy Head of Department. 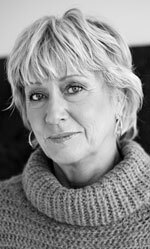 She has been involved in several international collaboration projects. In August 2007, Dr. Anderssson recieved a SASNET planning grant to coordinate a new research networking project titled ”Sol-gel encapsulation of biomolecules – special emphasis on developing cost-effective diagnostic tests.” See the full list of SASNET planning grants 2007.
monitoring and characterization of bacterial toxins”, and the PhD candidate Harald Kirsebom, were also involved in the project. The collaboration partners on the Indian side were Dr. Ashok Kumar (more information below); and Dr. S. Ganesh, Assistant Professor at the Department of Biological Sciences & Bioengineering, Indian Institute of Technology (IIT), Kanpur, India. Just like Dr. Kumar, he has also long experiences with the international co-operations particularly with Japan in the area of medical sciences. The applicant’s involvement in this project was of high relevance as he has direct contacts with the medical researchers and hospitals in India. Project summary: Every year millions of people die from various types of infectious. Though medical advancements nowadays have made it possible to control most of the infectious diseases which can be treatable, nevertheless they still impose a huge burden on morbidity and mortality in developing countries with highest fatality in children and young adults. The reason for this is mainly that while access to drugs has improved markedly through various campaigns, accurate identification of patients requiring treatment still remains an obstacle due to the lack of availability of appropriate diagnostic tests. At the eighth annual meeting of the Global Forum for Health Research it was concluded that further health research of high quality, focused on the needs of developing countries, including development of affordable and accessible diagnostics, is needed. This project focused on the technical development of cost-effective and stable diagnostic kits which can be used for detecting infectious diseases. The Swedish researchers visited IIT Kanpur in the fall 2008, and seminars were held with the Indian partners. After the successful planning, the researchers have applied for grants from various sources for this project. Professor Olle Holst (photo to the right) is in charge of the department’s International Masters programmes, that have been attractive to students from South Asia. In November 2006, he participated in the SASNET workshop on ”The role of South Asia in the internationalisation of higher education in Sweden” held in Stockholm, where he gave a presentation about experiences from these Masters programmes, in the session about ”Recruitment of South Asian students in hard sciences in Sweden”. Read Prof. Holst’s presentation at the workshop (as a pdf-file). In the Fall 2010, Prof. Holst was awarded an Erasmus Mundus Action 2 Indo-European mobility programme Lot 13 scholarship (coordinated by Lund University) as an academic staff, to spend one month at Anand Agricultural University in Gujarat, India. More information on the programme. • Dr. Ashok Kumar is an experienced Indian scientist. He obtained his PhD jointly from IIT Roorkee, and the Institute of Genomics and Integrative Biology, Delhi. Dr. Kumar carried out postdoctoral research as a as a Senior Research Scientist at the Dept. of Biotechnology, Lund University, from 1997 till 2004, when he joined the Department of Biological Sciences and Bioengineering, Indian Institute of Technology (IIT) in Kanpur. He is however still involved in some collaboration projects with colleagues at different departments at Lund University, and he spends some periods of the year in Sweden. a Sida/SAREC three-years Swedish Research Links grant (2004-06). The collaboration project with IIT Delhi was now renamed into ”Development of Integrated Product Recovery Process for Urokinase Production and Purification”. In August 2006, Ashok Kumar received a SASNET planning grant for a new research project on ”Cost-efficient production of therapeutic proteins – a need for bioindustry in developing countries.” The project is intended to develop a network with Indian academic and bio-industry partners for developing a cost-efficient production process for antibodies. It is a continuation of the previous project in developing low-cost protein purification techniques which resulted in the development of urokinase production process. More information about SASNET planning grants 2006. Project abstract: Following the discovery of hybridoma technology by Köhler and Milstein in 1975, monoclonal antibodies have had profound implications in terms of medical research, diagnosis and therapy. Now monoclonal antibodies (MAbs) are the second largest category of biopharmaceutical products in development. Thousands of mouse monoclonal antibodies have been produced from hybridomas over the past 25 years. This technique can now be used to clone human antibodies from transgenic mice. As monoclonal antibodies (MAbs) are usually given in high doses over a long period of time, the capacity for manufacturing these products in mammalian cell cultures will be challenge. The market for therapeutic monoclonal antibodies is forecasted to reach nearly US$ 10 billion by next year. The average annual growth rate for antibody-based therapeutics is more than 30% and for global market of pharmaceuticals, it is about 10%. Within the next years, the number of marketed antibody products is expected to double. Thus, the market for antibodies has a huge growth potential. Antibodies are one of the most important therapeutics proteins presently being used in treatment of various health conditions including cancer therapy. However, at present these life saving protein drugs are not available at very affordable prices for common usage in developing countries. Dr. Kumar has previously established a good network contact with IIT Delhi through the collaboration project with Dr. Pradip K. Roychoudhury. His main research collaboration partner at IIT Kanpur was Dr. S. Ganesh, Assistant Professor at the Dept. of Biological Sciences & Bioengineering. PhD Benoit Guieysse defended his docoral thesis on ”Innovative Bioreactors for the Degradation of Polycyclic Aromatic Hydrocarbons”, on 1 November, 2001. Read the abstract. Till November 2006, Benoit Guieysse was Project Coordinator of Biorem, and as project coordinator he took care of the PhD and Masters students in the group. Guieysse was engaged in projects on bioreactors for detoxification, an area of utmost importance for South Asia. In August 2002 he was given a research planning grant from SASNET to develop a project on ”Combined biophysical remediation processes for the cost-efficient removal of Persistant Organic Pollutants”, and building a network of researchers from Sweden, Sri Lanka and India, for the development of combined physical-biological processes for the removal of POP’s. These pollutants, related to pesticides, cause a serious threat to the environment and have toxic effects to humans and wildlife. The problem is especially worrying in South Asia where land and water are often polluted due to a lack of regulation and resources for implementation of clean technologies and remediation processes. Guieysse established contact with Professor Vasanthy Arasaratnam, Faculty of Medicine, Dept of Biochemistry, University of Jaffna, Sri Lanka, who was also involved in the project. Researchers at Jaffna University are well experienced in many of the areas of the project as well as seriously concerned about environmental issues (due to pesticides and explosives), but communication has been difficult because of the conflict in Sri Lanka. Besides Jaffna University the other partners in the network included Birla Institute of Science and Technology, BITS, in Pilani, the Bhabha Nuclear Research Institute in Mumbai, and Jamia Hamard University in New Delhi, all institutions Guieysse visited in the Spring 2003. A symposium on ”North South exchange in environmental biotechnology” was supposed to be held in August 2005, a symposium to which Arasaratnam and other participants in the network were invited, but the symposium was cancelled. In November 2005 Benoit Guieysse received SEK 800 000 from Sida/SAREC as a two-years (2006-07) research grant for a project titled ”Biomonitoring of microbial communities in waste stabilization ponds enhanced pollutant removal”. More information on Sida funded South Asia related research projects in 2005. In November 2006, Dr. Guieysse however quit his job at Lund University, and joined Nanyang Technological University in Singapore, a university that has had a long-standing collaboration with Lund University. Dr. Mattias Svensson has been engaged in the research group Agrigas (financed by the Energy Supply Committee of Southern Sweden, DESS, and led by Bo Mattiasson. He defended his doctoral dissertation about “The technology and economy of farm-scale high-solids anaerobic digestion of plant biomass” on Wednesday 14 December 2005. Faculty opponent was Professor Jukka Rintala, Dept. of Biological and Environmental Sciences, University of Jyväskylä, Finland. The full thesis is available on the Internet, go for it(as a pdf-file). The research has involved some studies on India. In January 2003, Mattias Svensson presented a paper on ”Agrigas – Biogas from crop residues” at the Development studies research conference at Lund University . Read the abstract. The Indian researcher Sankar Marichamy was connected to the department for some years. In October 2004, he received SEK 600 000 as a Swedish Research Links from Sida and the Swedish Research Council, for an India related project titled ”Psychrophilic anaerobes and application of their genes to recalcitrant biomass utilization”. More information. Since, Dr. Marichamy has moved to the University of California in Santa Barbara, USA. Jashbhai B. Prajapati , EMECW scholarship holder from Anand Agricultural University. Ami Patel, EMECW scholarship holder from Anand Agricultural University. A large number of Indian students, PhD candidates, post-docs and academic staff has come to Lund University during the academic year 2009-10, as scholarship holders through the Erasmus Mundus External Cooperation Window mobility programme Lot 15, coordinated by Lund University. This programme was announced in 2008, and out of a total mobility of 320 persons, 53 Indian students, researchers and academic staff were selected to come specically to Lund University. More information about the EMECW programme lot 15 (from 2009 renamed to be one out of four programmes under the mobility lot 13). Professor Jashbhai B. Prajapati, Head of the Dairy Microbiology Department, SMC College of Dairy Science at Anand Agricultural University in Gujarat, India, was selected by the EMECW lot 15 consortium to spend two months at the Dept. of Biotechnology, Lund University, as an academic staff. While in Lund, he organises a mini course on Fermented Foods, and is also planning collaborative research projects. Prof. Prajapati is also coordinating activities of SASNET-Fermented Foods, the network of scientists, academicians, professionals, industry personnel and others interested in promoting fermented foods for public health and social well-being. This network was initiated by Prof. Baboo Nair at the Dept. of Applied Nutrition and Food Chemistry, Lund University, with support from SASNET in 2002. More information about the SASNET-Fermented Foods project. PhD candidate Ami Patel also comes from Anand Agricultural University, and was selected to come to the Dept. of Biotechnology. There she is working with Prof. Olle Holst on the area of exopolysaccharides from lactic acid bacteria. Such exopolysaccharides have great potential for human health as well as improving food characterstics. She will spend 18 months as a scholarship holder at Lund University. Her supervisor in India is Prof. J B Prajapati. Dr. Sindhu Mathew comes from the National Institute of Interdisciplinary Science and Technology(NIIST) in Thuruvananthapuram, Kerala. As a EMECW scholarship holder, Dr. Mathew worked as a Post Doctoral Fellow at the Dept. of Biotechnology. She completed her PhD in India on the topic “Studies on ferulic acid, a bioactive compound and on feruloyl esterase involved in its production”. Her current research work focuses on the enzymatic glycosylation of phenolic compounds of biological importance. Dr. Aarti Devendra Ozarkar (photo to the right) comes from the Dept. of Zoology, University of Pune. She completed her PhD in Biotechnology from University of Pune with a thesis entitled ”Analysis of Genetic Polymorphism of DBL; domain of Plasmodium falciparum – Malaria Vaccine Candidate Var”. Her research supervisor was Dr Deepti Dileep Deobagkar. As a EMECW scholarship holder, Dr. Ozarkar worked as Post Doctoral Fellow at the Dept. of Biotechnology for a period of 10 months 2009-10. Her research supervisor was Prof. Bo Mattiasson.